Like the unlucky guy who scrimps, saves and suffers to earn the trip of lifetime only to have it cancelled when the weather turns it was hard not to feel for Honda’s plight when they departed from F1 at the end of 2008. For almost a decade they had carefully felt their way back into F1 with Jordan F1 and BAR Racing before setting up the full factory Honda Team. Alas after a solitary win in 2005 the economic weather became too violent for 2009 so they sold up and left. But here’s the kicker: the car they had pre-prepared for 2009 turned out to be best car on the grid and won the 2009 Championships under the guise of Brawn GP who had bought the remainder of Honda after 2008. In short, Honda bowed out at precisely the wrong time. You may say that Honda is a large soulless entity who were only ever in F1 to exploit the brand. This couldn’t be further from the truth. Honda have been in F1 since the 60’s and have run their affairs in typical Japanese style. That is to say; understated, modest and praiseworthy. Their return to F1 in 2015 is welcome and comes about as a result of major changes to engine regulations from 2014. Out go the 2.4 litre V12 units in favour of 1.6-litre turbocharged V6 engines. Honda has already begun working on their engine meaning they should have an advantage over the rest of the field who will be tweaking their 2014 engines till the season's last race. We are happy to see Honda back but there is a a twist: they return as an engine supplier and not as a factory team. This is not bad news because they are supplying McLaren. That’s right the partnership that ran from 1988 to 1992 producing arguably some of the most memorable F1 cars ever produced such as the 1988 McLaren Honda which won 15 of 16 Grand Prix that season. 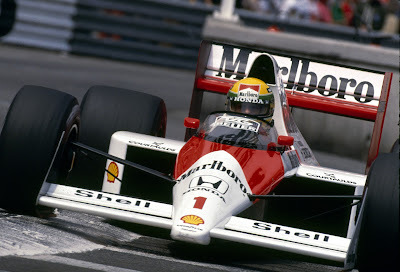 The partnership is also synonymous with the Prost – Senna rivalry. Welcome back Honda we cannot wait. Really structured and useful information!! !